Today is Blog Action Day, which focuses on bringing together bloggers from different areas to write about an important global topic on the same day. 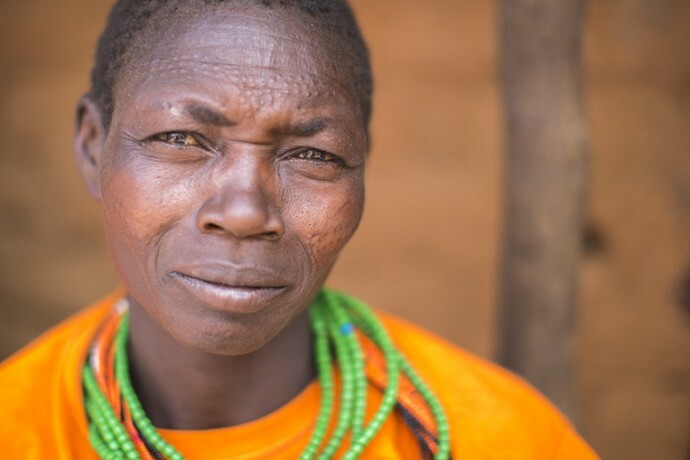 Cindy Uttley, the community health advisor for Samaritan’s Purse, writes about the inequality women in developing countries face while seeking medical care. 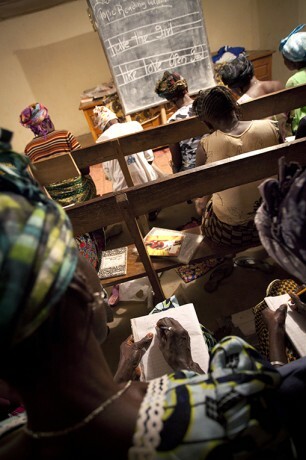 Women in Liberia have the opportunity to take adult literacy classes. Learning to read can help these women become more self-sufficient. Moving with my family to Bangladesh as an 8-year-old girl was my first introduction to the inequities of this world. I remember walking to school, passing girls my age and younger carrying water on their heads. They had already completed a several mile hike by the time I was just heading out the door. Did they get to go to school, too? How did they play? What did they dream of? My dreams and play centered on the many options that lay before me. Where would I go to college? Would I be a teacher? Would I be a scientist or an astronaut? Would I live in some distant land? What would my house look like? Would I have children? I imagined one day returning as a midwife. As I grew up, I went to college and followed that dream. While I have not yet returned to Bangladesh, I have lived and worked as a nurse-midwife in Haiti, Uganda, and Kenya, as well as Pennsylvania. The contrasts between a mother’s experience in childbirth in the U.S. and in the developing world are extreme. Worldwide, a woman dies every two minutes in childbirth. In the U.S., a woman dies every two days in childbirth. When Samaritan’s Purse drills new wells, it makes a huge difference in the lives of nearby women. It means they don’t have to spend so many hours walking to and from potentially unclean water sources, leaving their families unattended and putting themselves in danger. In the U.S., one of my greatest delights is listening to expectant mothers as they share their excitement. The women I speak with have many options and, while apprehensive, their fears are often attached to how they will cope or how many interventions they will experience. Whether they’re rehearsing how to prepare their “go-bag,” deciding whom to call first, wondering about pain relief, or choosing names, the excitement is palpable. They can reasonably expect a happy ending to their birthing journey, and if complications do arise, they can be assured that expert medical support will be immediately at hand to provide life-saving care, not only for their newborns but also for themselves. Women in Karamoja, Uganda, now have an ambulance pulled by a bicycle to transport them safely to a health center during their labor. Expectant mothers in the developing world also long for the joy of holding their newborns for the first time. They dream of raising a child who will honor the family, excel in school, learn a respectable trade, or work in the family garden. But sometimes, they are afraid to dream these dreams. 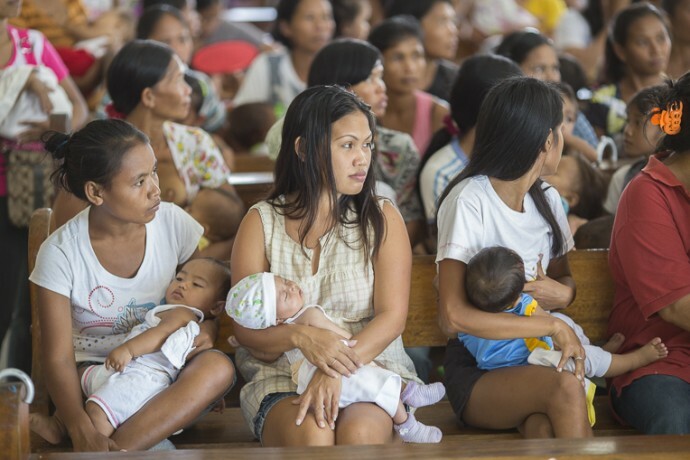 After Typhoon Haiyan, women in the Philippines attend nutrition training. They learn about caring for their children, receive food, and have their children measured and weighed to determine their level of health. My dreams now involve addressing this stark inequality. I raise awareness of the plight of underserved women and train community health workers who are uniquely placed to make a difference in the lives of these women. God placed me at Samaritan’s Purse, giving me an opportunity to lend my experience and passion to shrinking the gaping inequities in maternal health care across the world. 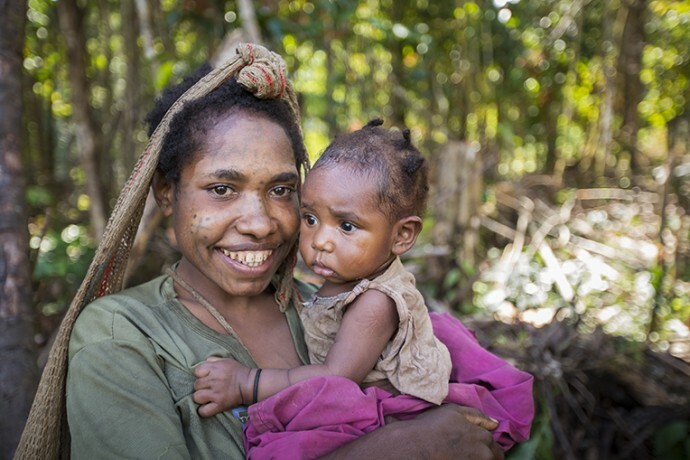 Women in Papua New Guinea face some of the highest infant mortality rates in the world. Better education on prenatal and infant care is providing them with the knowledge they need to help their babies live. Dinka women in South Sudan have faced years of violence. Many of them are now raising their children in refugee and displaced people camps far from home. Child marriage is still practiced throughout many parts of the world as a culturally entrenched attempt to provide for and protect young girls. Girls who aren’t yet fully developed often suffer serious consequences when they endure prolonged and obstructed labors. Difficult labors such as these can lead to stillbirth, serious infection, and lasting deformities that cause shame and lead to rejection of these young wives. Improving literacy and keeping girls in school as long as possible helps raise the age of a first pregnancy. In Haiti, providing privacy at school and adequate feminine hygiene considerations allows girls the dignity to stay in school rather than staying home while they menstruate to avoid embarrassment. Training skilled birth attendants in Vietnam and improving access to emergency obstetric care are cost effective in reducing the unacceptable rate of maternal mortality. This cart pulled by oxen in Cambodia is one option to give expectant mothers a safe ride to a health center. In Karamoja, Uganda, a simple bicycle ambulance or cart pulled by oxen to transport women in labor can greatly improve the outcome for mother and child. Providing mosquito nets to pregnant women in Mozambique protects them from malaria, the resulting anemia, and frequent miscarriages and premature delivery that are all too common where malaria is endemic. Building simple waiting homes adjacent to health centers in Mozambique and Cambodia gives women a place to wait for impending labor. They have the opportunity to travel when it’s convenient and not wait for an emergency. These maternity waiting homes also provide an opportunity for new mothers to receive pertinent messages on newborn care, the importance of breastfeeding, and personal care immediately after giving birth. 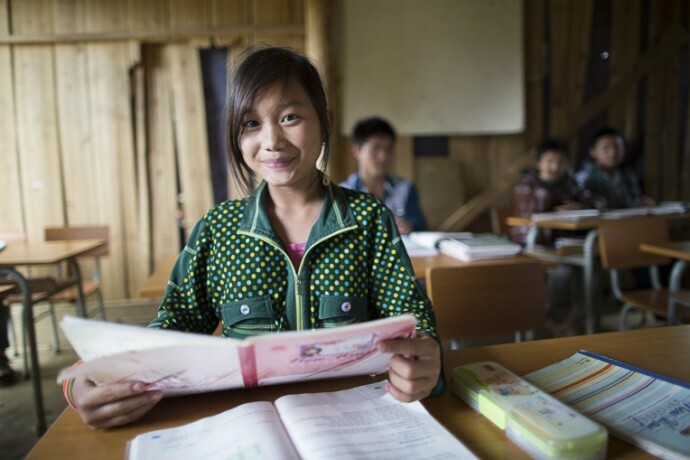 In Vietnam, Samaritan’s Purse has built schools to give young girls the opportunity to further their education. 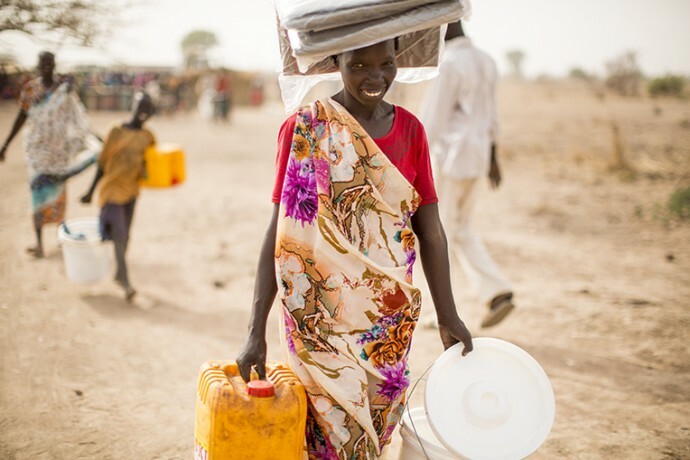 Improving access to safe water by digging wells in Niger and South Sudan not only significantly reduces the incidence of water borne disease, but it also indirectly improves the lives of women by shortening the amount of time devoted to fetching water. 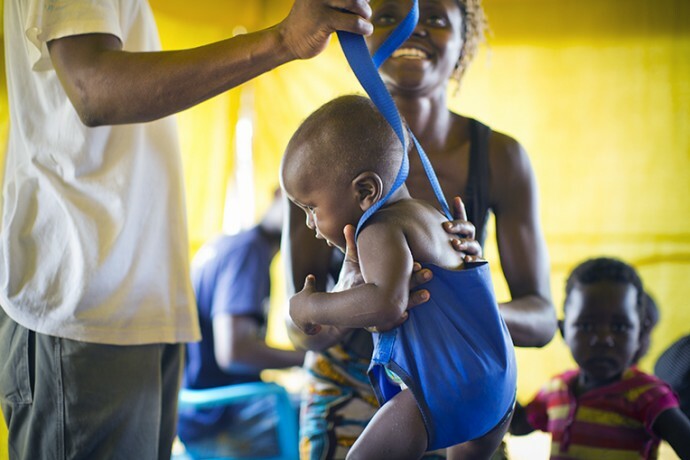 After flooding, babies in Mozambique are weighed to determine malnutrition levels. Mothers received food and education for their children. And the project freshest on my mind is the current Ebola outbreak in Liberia. The fact that women are the primary caregivers for sick family members means they are exposed to and contract Ebola at a far greater rate than their male counterparts. The collapsing health system leaves pregnant women facing the double fear of Ebola and unattended childbirth. Efforts at stemming the epidemic are vital but must not stop there. There will be an opportunity to help rebuild the decimated health system once the tide has turned, and Samaritan’s Purse will be poised to continue its hope-giving mission. Women in Karamoja, Uganda, often don’t have food to feed their families, as the rain in their region comes erratically. Samaritan’s Purse is teaching the Karamojong people different farming techniques so they can have food despite unpredictable rain.